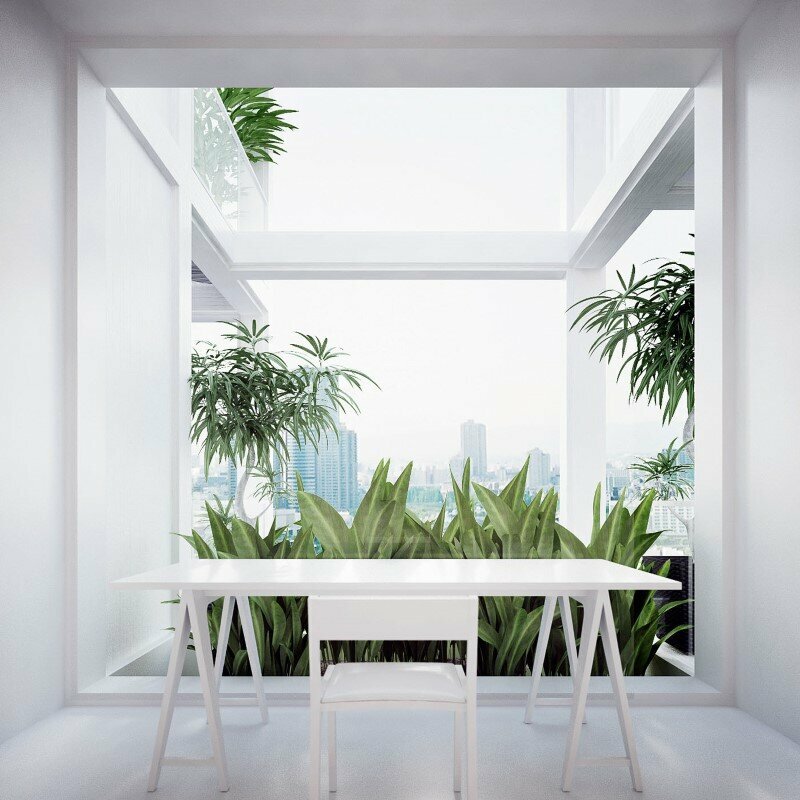 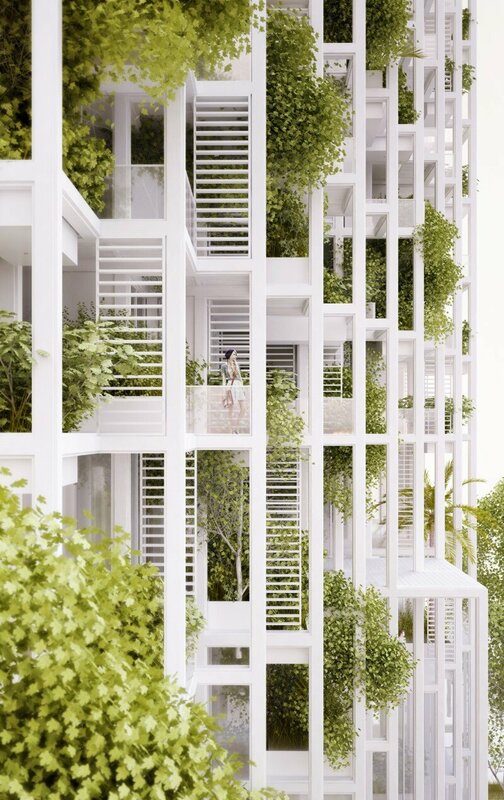 Beijing – based Penda Architecture and Design have designed Vijayawada Garden Estate, a residential project with futuristic modular design that provides 36,000 square meters of green living space. 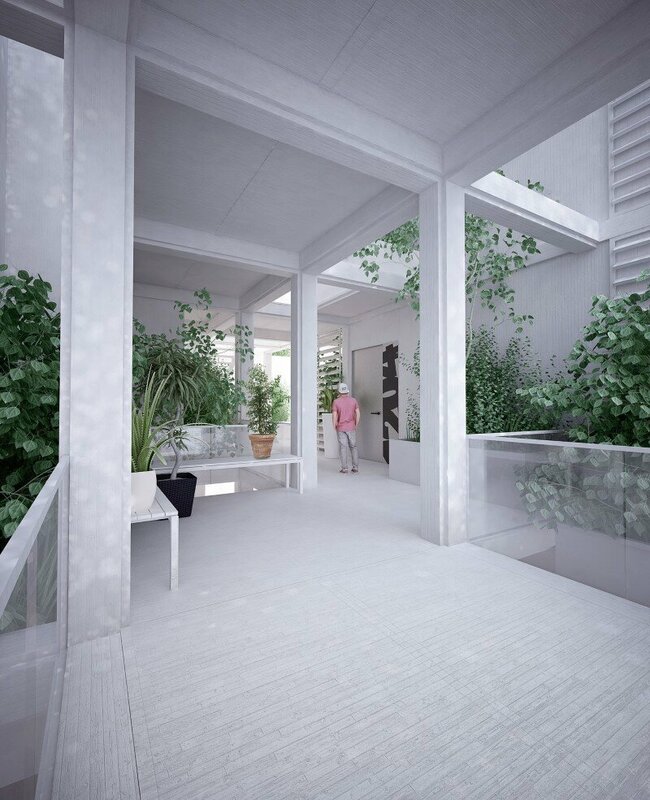 The project features a high-rise residential development for ‘pooja crafted homes’, who is seeking for and “outside of the box – design” and “a natural living experience” for the residents in all their projects. 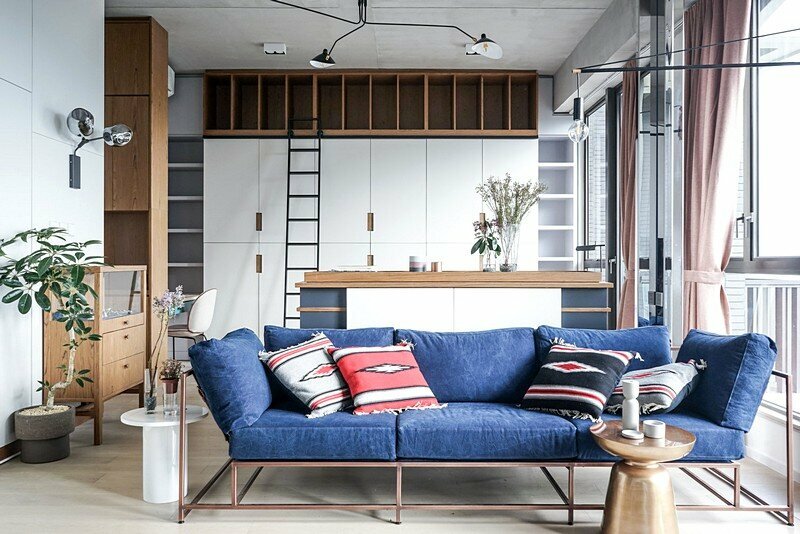 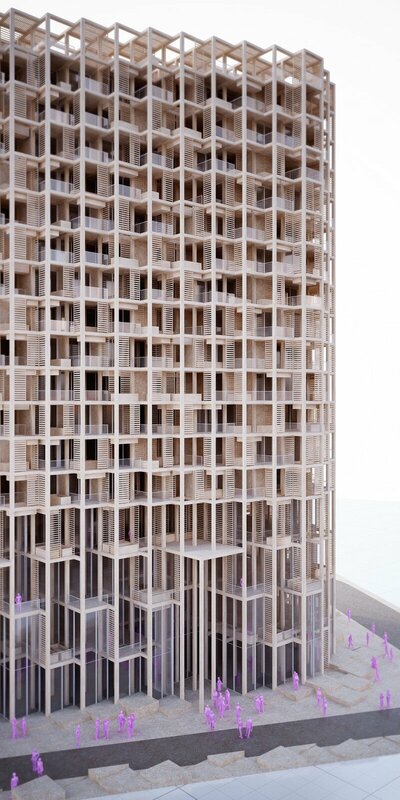 In an age of mass-production and a certain conformism in the building industry, we try to use modern construction techniques to bring back a level of individualism and flexibility for the inhabitants of a high-rise. 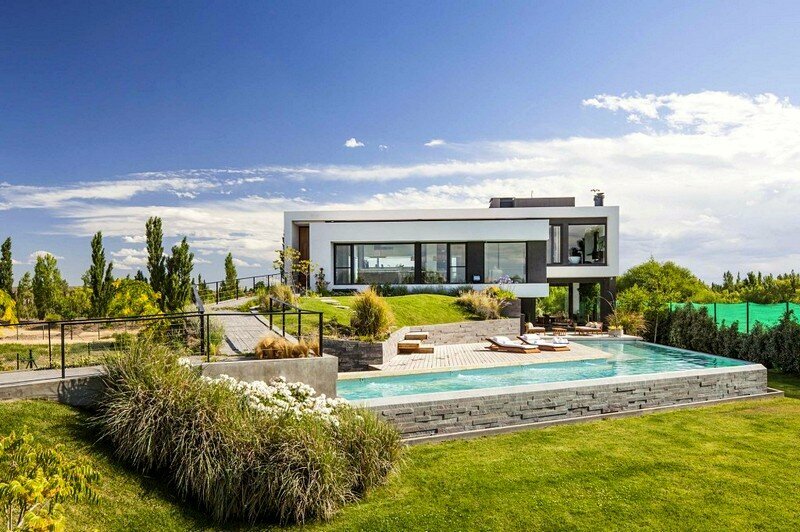 A kind of individualism one would have in building his own house. 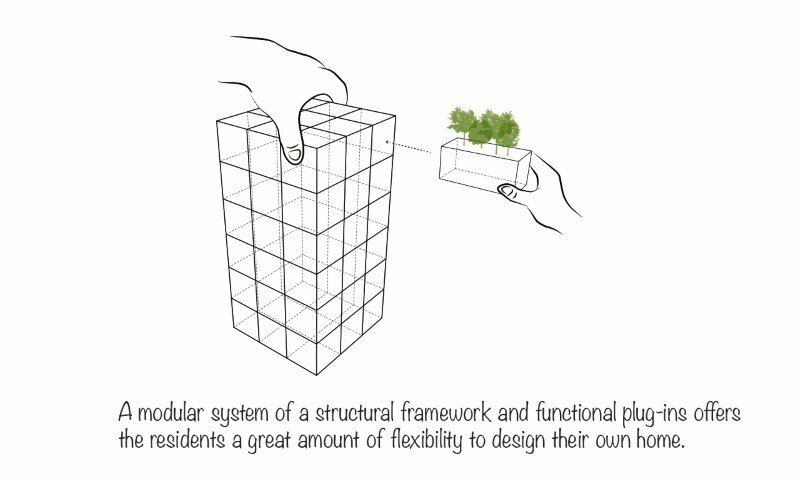 Therefore we divide a tower in its separate elements: the structure, walls, facade, ceiling & floors, infrastructure, balconies and plants. 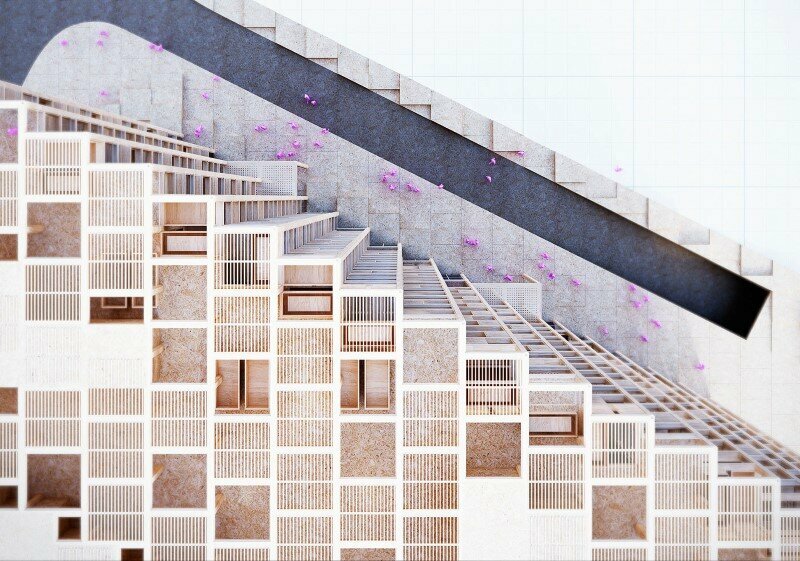 Inspired by a modular shelf, the structural grid and the infrastructure are the only constant elements in the building. 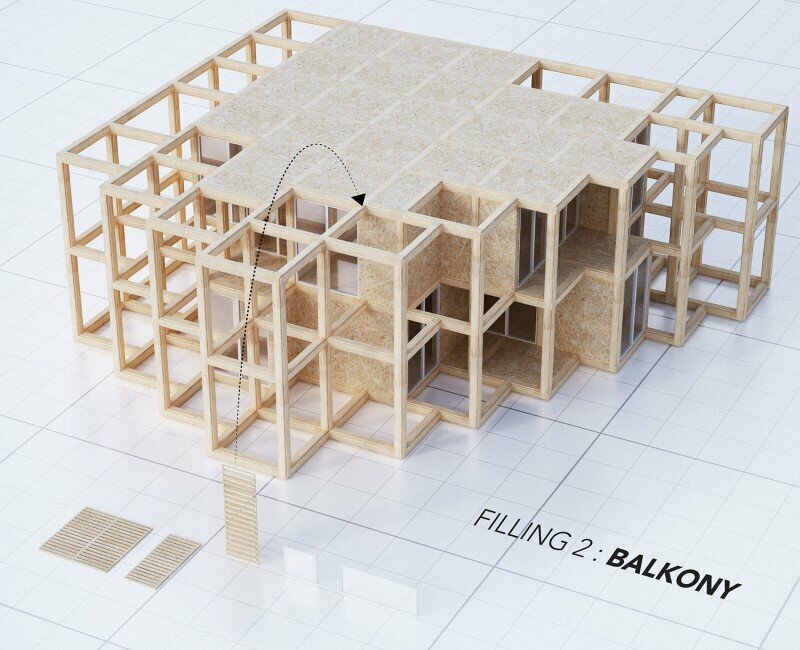 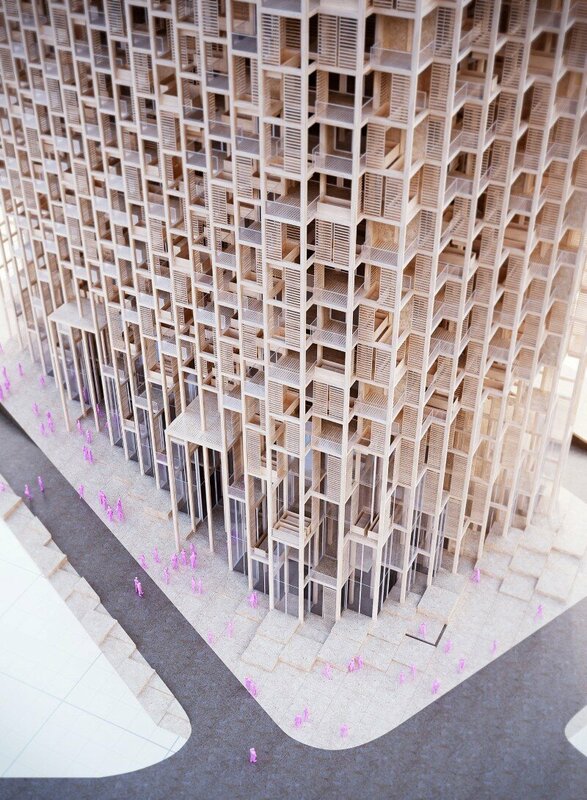 This framework for a tower can be filled with prefabricated modules, which the home-owner can chose from a catalog. 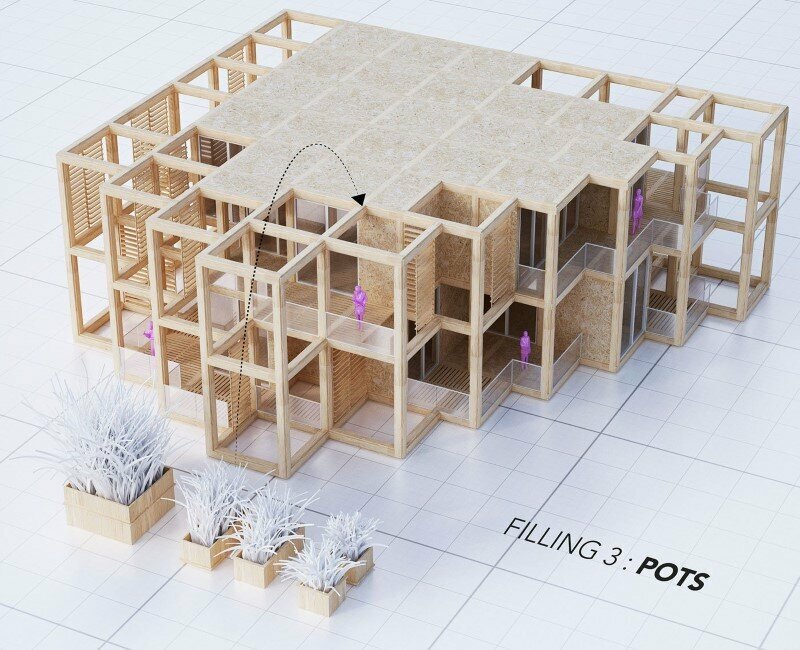 The modules are ranging from different floors,to facade element, to railings and a variety of pots for plants to grow along the home. 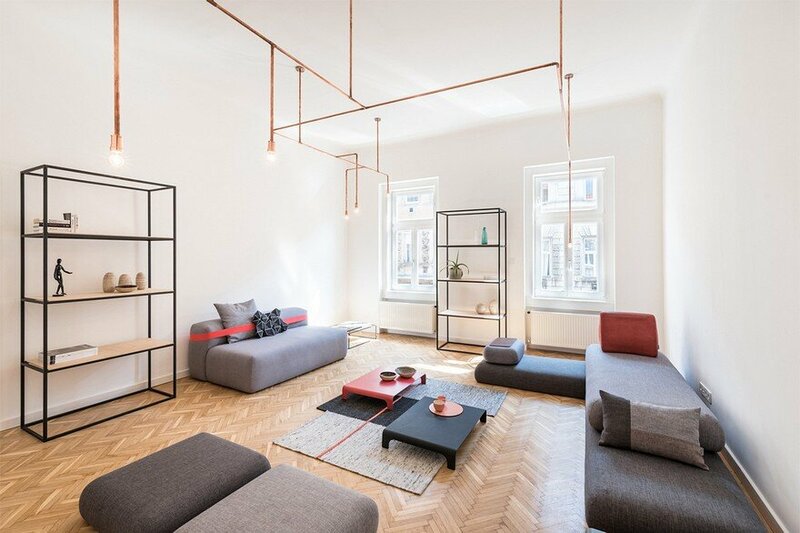 By choosing their own elements, we offer the homeowners a tool to become the designers of their individual apartment. 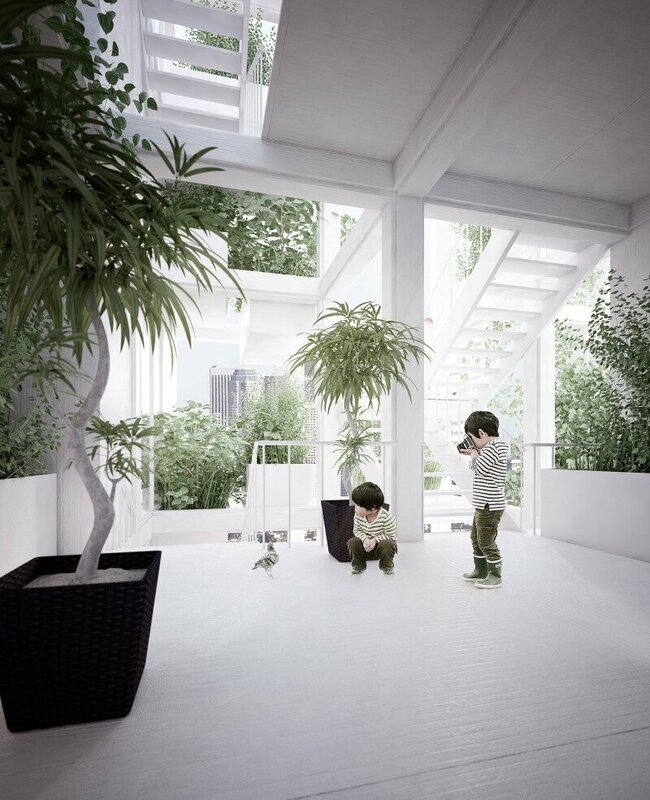 A grey water supply system collects rainwater on the roof and reuses it for watering the plants on the balconies. 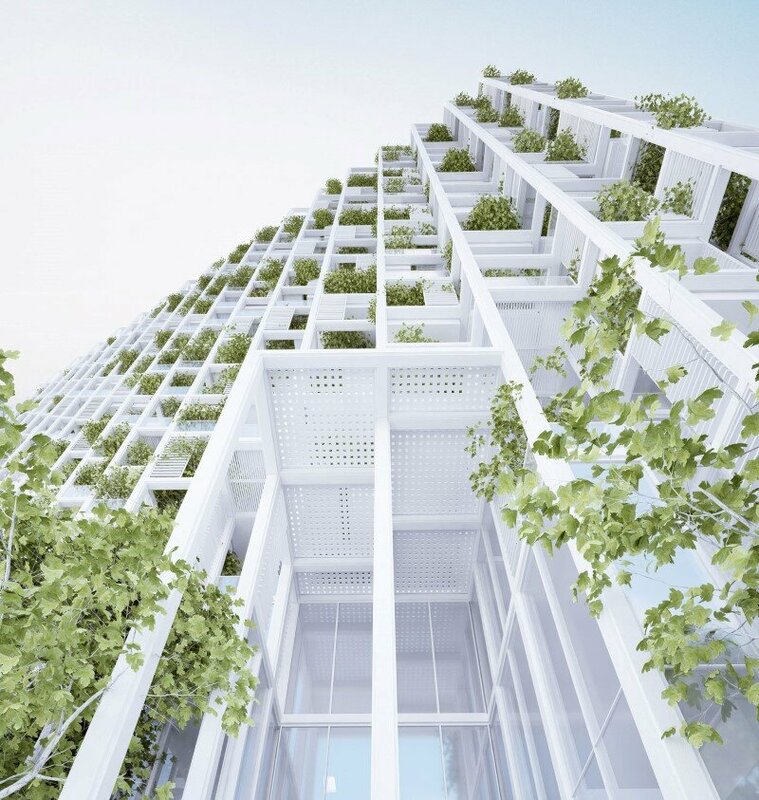 Air-purifying Plants will use the grid on the facade to grow along and, after some time, nature will be the main design-language and the architectural design takes second. 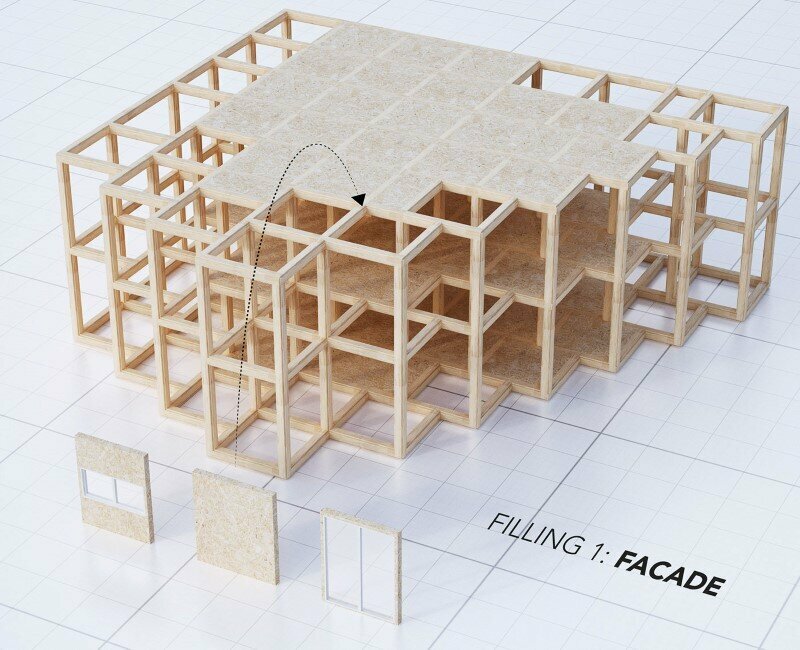 The facades serves as an interface between the outside and the inside, and the natural elements provide better control over the building’s indoor climate. 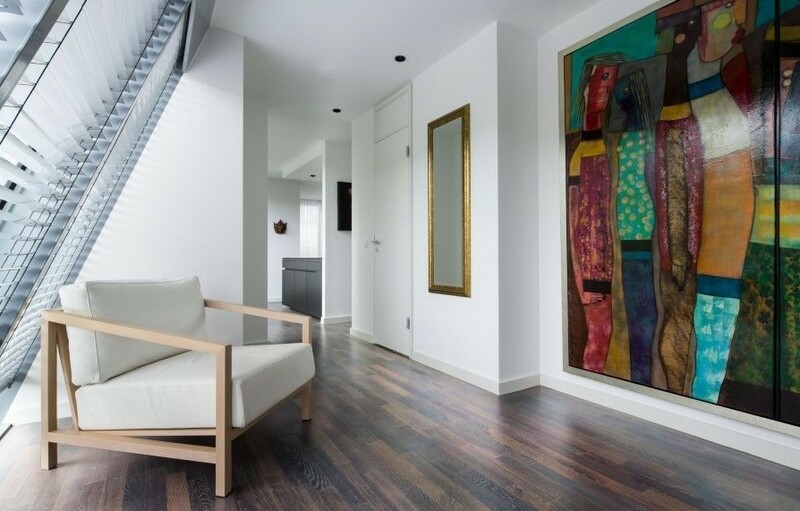 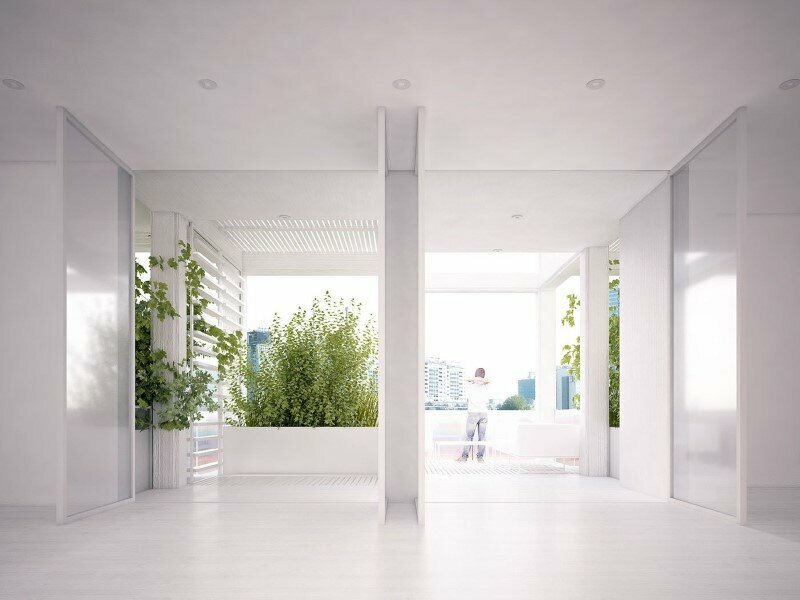 An open hallways supports a constant airflow through the building and offers a natural ventilation for all the apartments, which reduces the amount of AC’s used inthe compound. 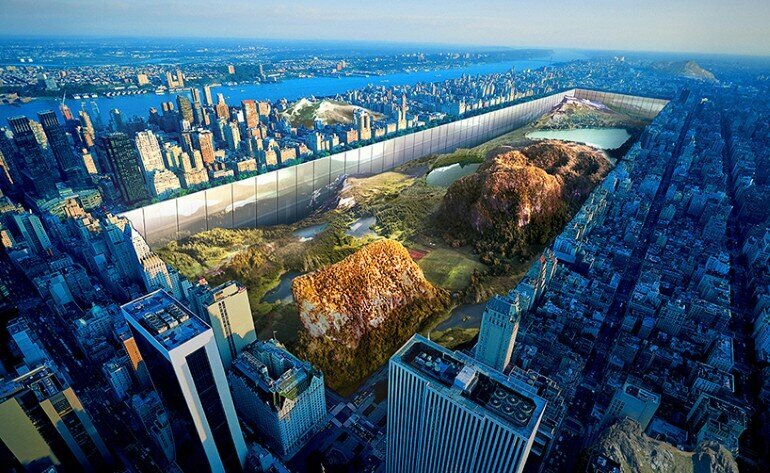 The true meaning of an ecological development. 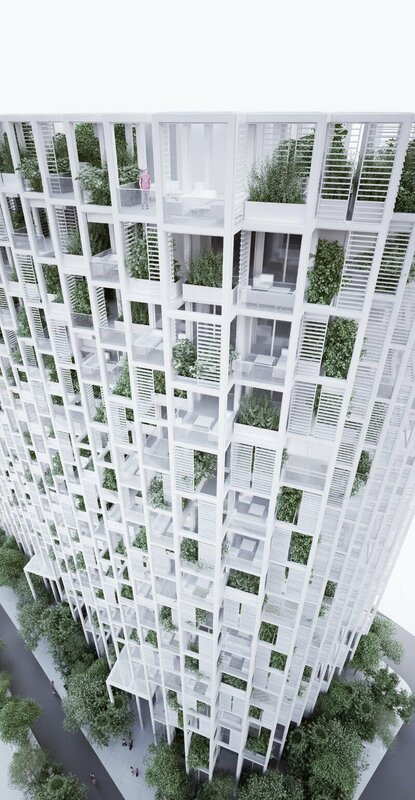 A breathing tower. 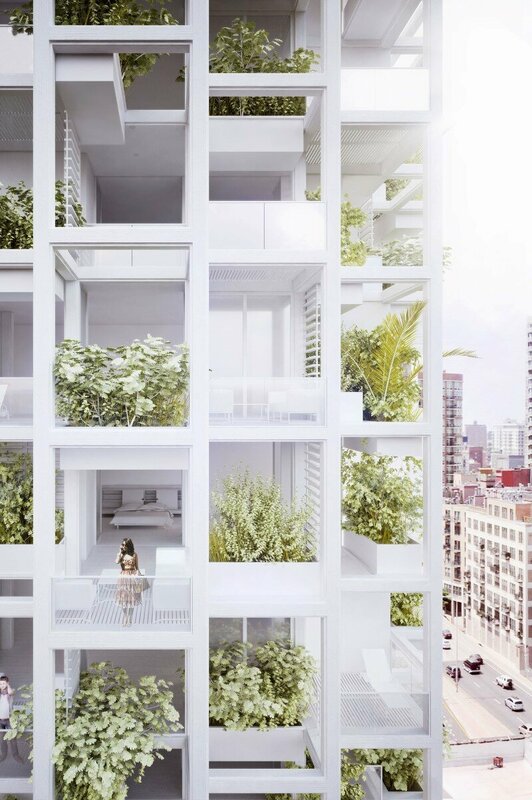 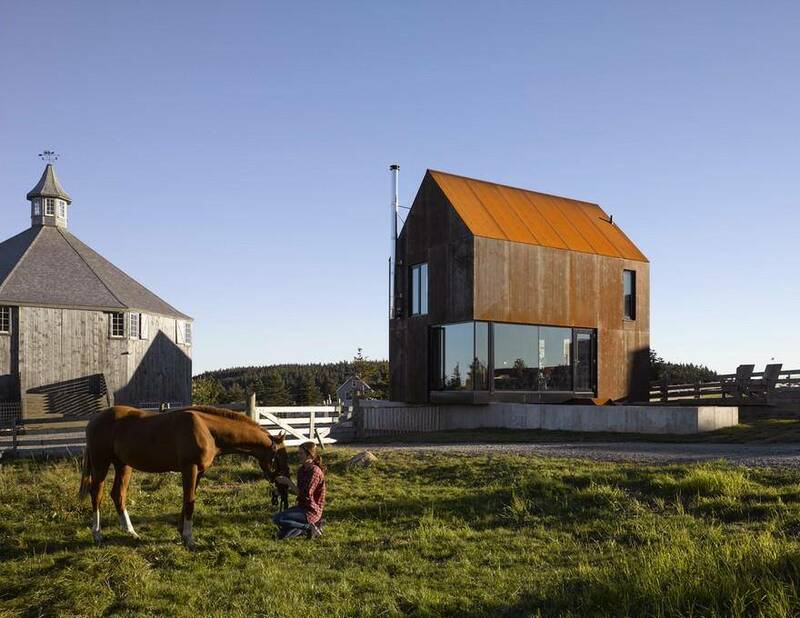 An individual house in the sky, with a garden and a view.